Knoco stories: Mistakes were made - but not by me! Mistakes were made - but not by me! I am reading a really interesting book at the moments, with the title "Mistakes were made - but not by me - (why we justify foolish beliefs, bad decisions and hurtful acts)". The book is about cognitive dissonance - how people square their self-image of being a great, smart person, with the realisation that they can make mistakes - sometimes pretty big mistakes. The way most people deal with this problem is to maintain the self-image and explain away the mistake. "It wasn't really a mistake" - "Of course I didn't see the stop sign, it was in such a stupid place" - "The sun was in my eyes" - "Nobody told me it was wrong" - "He pushed me" - "I don;t see why I should say sorry, he started it" - "I'm not wrong, aliens really DO exist; the government is covering it all up" and so on. They didn't REALLY make a mistake; they were smart people all along. It wasn't their fault. "We are a people who do not want to keep much of the past in our heads. It is considered unhealthy in America to remember mistakes, neurotic to think about them, psychotic to dwell on them". Firstly, there much be a very conscious top-down drive for a culture that allows learning from mistakes. Call it a no-blame culture, call it an organisational learning culture, call it openness - it needs to be a clear and conscious expectation. This sets up a counter-dissonance. "I am a smart person. But I made a mistake. But the company expects me, if I am smart, to admit mistakes. Hmmmm!" We ordered a set of number 6 widgets, and when they arrived, they were very poor quality. We had to send them all back, which delayed construction by a week. The lesson is not to use that supplier again". However a good objective facilitator would dig deeper. They would ask - what were your quality control procedures? What was your ordering philosophy? Did you wait for the widgets to arrive before doing quality control? If so, why did you leave it until the last minute, so that re-ordering caused delay? Did you just assume that everything would be top quality?" The lesson would be more about quality control procedures and mental assumptions, that it would be about suppliers and vendors. Any good system of lessons identification and lesson-learning has to use objective external facilitation, if you are to overcome the tendency to say "mistakes were made, but not by my team." That's why an increasing number of companies are calling us in, for example, to provide that skilled external evaluation as part of their lesson learning system. "Few organisations welcome outside supervision and correction. If those in power prefer to maintain their blind spots at all costs, then impartial review must improve their vision ....... If we as human beings are inevitably afflicted with tunnel vision, at least our errors are more likely to be reduced or corrected if the tunnel is made of glass". This goes for teams and individuals as well as organisations - impartial assistance is vital. 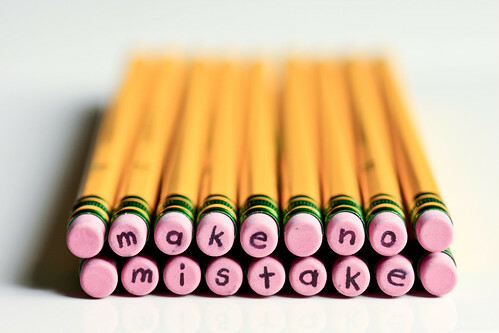 We all make mistakes - mistakes have been made, often by us, and those mistakes are an opportunity to learn and improve, despite our best efforts to pretend that they never happened.